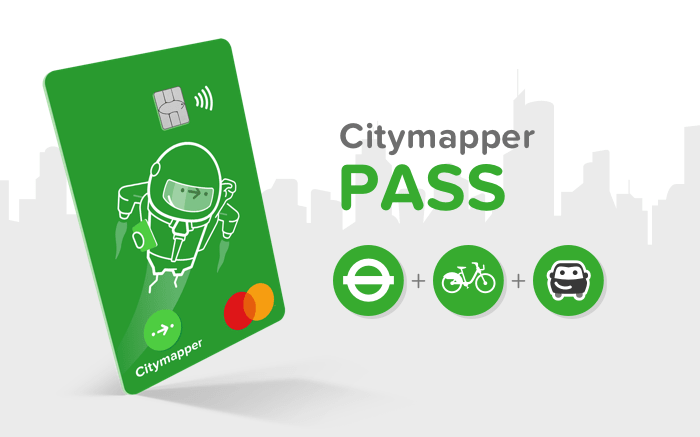 We’re proud to announce Citymapper Pass, a subscription to all mobility, with a beautiful smart travel card, integrated with our everyday multimodal mobility app. We’re launching in London with a bundle including public transport, cycles and cabs. Cities are complicated. Our mission has been to simplify them. We’ve solved (and are still improving) many hard problems in urban mobility: multimodal routing to help with directions, a data factory that fixes open data so users can get accurate information, and a myriad of product features that solve everyday use cases. But we’ve always been missing something: ticketing and payment integration so that we can help users with the complete experience. Buying tickets for public transit fills everyone with anxiety. Every city has different schemes and complex options. Paper tickets, barcodes, topups and other cumbersome technologies are not consumer friendly. Ticketing machines are stressful. Queues for human vendors are inefficient. Pricing is complex. Even people that live in a city aren’t sure how things work or how much they cost. We believe ease of ticketing is essential for public transport to compete with private players, and this is important for the future of congested and complex cities. Everyone has 2 things with them at all times: a mobile phone, and a wallet/purse. Transit systems need to accommodate them to be accessible and grow. 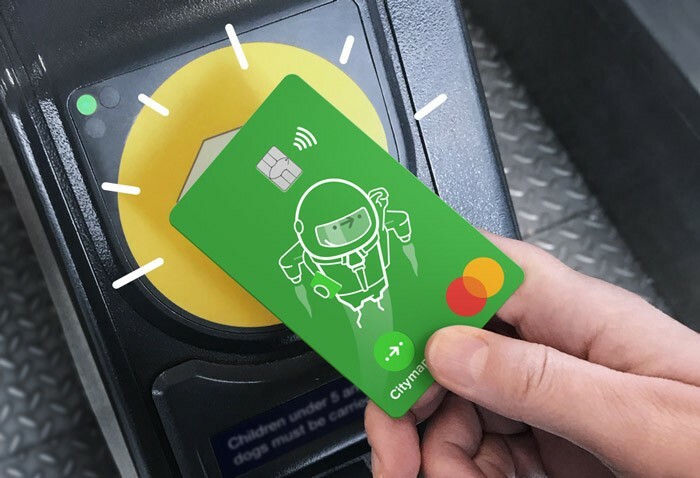 The advent of contactless payments in the UK and TfL’s adoption of contactless technology in London get the credit here for developing the seamless experience. But its only the first step. Figuring out everything we can do on top of payment technology is what has gotten us excited, and provided an opportunity to design and build a card specifically for transport. Any bank card is sufficient for occasional use. But we’re developing a more complete and tailored experience for regular commuters: all transport integrated in one place, personalised, with a comprehensive app they use every day. What makes this exciting is that contactless technology is proliferating across users and cities around the world. Consumers are going cashless. Transit agencies everywhere are following the lead of London to implement similar systems. Contactless technology is a bit like open data, it’s available to everyone. And we’d encourage incentives to the ecosystem so that anyone can participate in promoting public transport and keeping it competitive with private industry. Another trend that is accelerating is the number of private players entering urban mobility, from scooters to cycles to mopeds to shared cars. We’re adding new partners every week, and accommodating everything so that we can give users the best and most comprehensive choices. This is great for cities and users, introducing more ways to move around. But with that has also come more complexity and confusion. We believe we can help both users and partners here. We’ve added functionality like routing to help users discover partners for specific journeys where they are best suited. And now we can make it easier to pay for them by adding them into subscriptions. Even better we can suggest the best partners and offers to users based on their geography and needs. Users want to get from A to B. They care mostly about time and price, and don’t necessarily always care how. The idea behind a subscription is that it bundles everything for the user and reduces hassle to make it easier for people to navigate without worrying about details on every trip. This vision has been talked about for decades. The real challenge has been to develop something that works and scales, with a UX that users love, a model that keeps all participants in the system happy. We’ve been thinking about this for a long time, and hopefully believe we have a solution, complemented by a lot of technology we’ve already developed in our app, and an active user base. Rather than starting in a simple small town, we thought why not launch in one of the biggest, most complicated public transport cities in the world? London! Our Pass on day 1 will be cover public transport, cycles (Santander’s docked scheme) and cabs (our Citymapper Ride service). 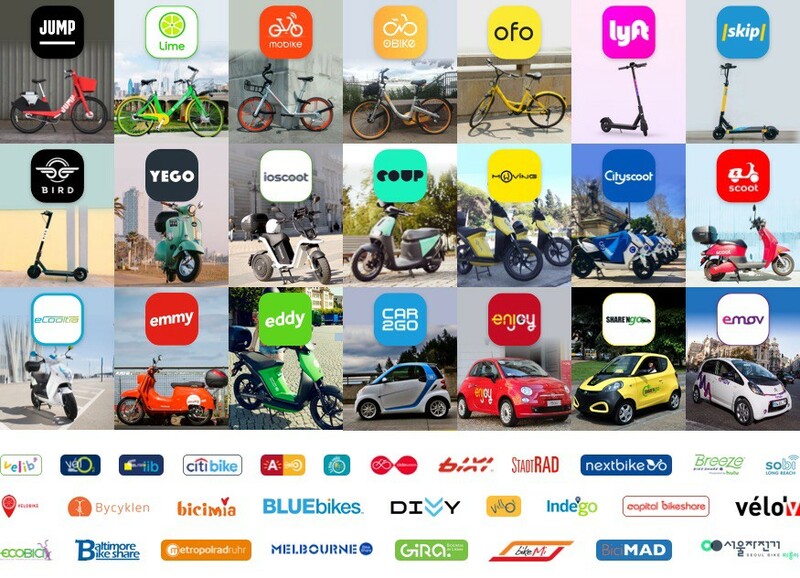 Over time we will add other modes and partners such as additional cycle and cab services, car sharing, scooters and well.. whatever else gets invented next. Pass will integrate with smartphone wallets, so users can decide to use them as virtual cards as well. Integrating a journey planner and every day transport app with Pass gives us an opportunity to develop some great experiences for users. We are developing a new section of the app for Pass users, a transport dashboard, and a full joyful end-to-end experience for mobility. This is just the start. There is a lot of functionality and capability we can build going forward. The vision is to personalise offers to specific users based on their needs, preferences and commutes. And we believe Pass should work globally, so that users do not ever have to worry about how to use a foreign public transport system, they can just check a route and go. Tap Tap Done. As we expand the offering to other cities, we will design towards a future where the subscription works everywhere it can. Imagine that. 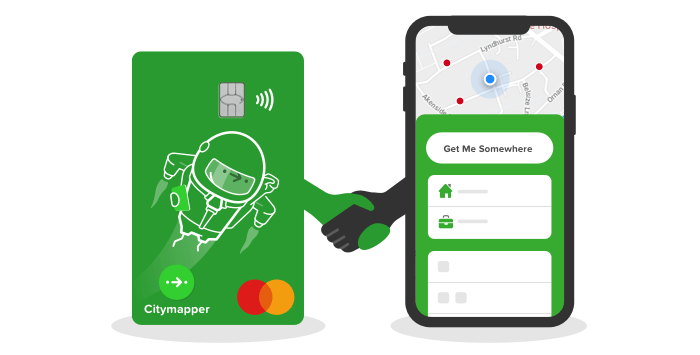 Citymapper Pass launches March/April 2019. Unlike Brexit, we’re not waiting for May. Early signups are in a secret place.. Thanks to Omid Ashtari, Gabriela Stripoli, and Alex Thomas.